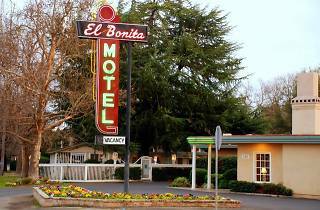 El Bonita is a unique (and affordable!) option for folks who don't mind a motel set-up. 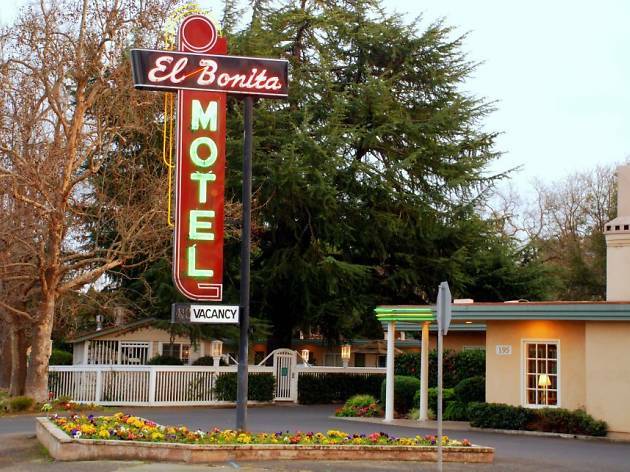 The building started as a religious retreat in the 1940s, was an art deco motel in the 1950s and today offers updated rooms and amenities including breakfast on a quaint stone patio, a heated pool, jacuzzi and sauna, free wifi and two acres of lush gardens. Read carefully when choosing your room and be sure to pick one with a whirlpool bathtub and heated floors. The property is simple and no-frills compared to surrounding hotels, but it's close to nearby wineries, and the money you save on lodging can be spent on wine.